I didn’t have any new recipes for you last week #badfoodblogger, but I’ve got new recipes coming your way this week – starting with this Glazed Lime Cake! Last week, I found some limes in the back of my fridge that I couldn’t let go to waste, but after an 80+ hour work week I needed something super easy! This Glazed Lime Cake checked all the boxes – one bowl, only 7 ingredients, and very simple. 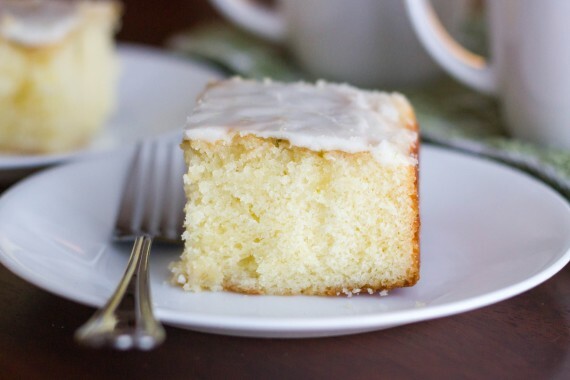 The lime syrup keeps the cake very moist and the glaze adds even more lime flavor. 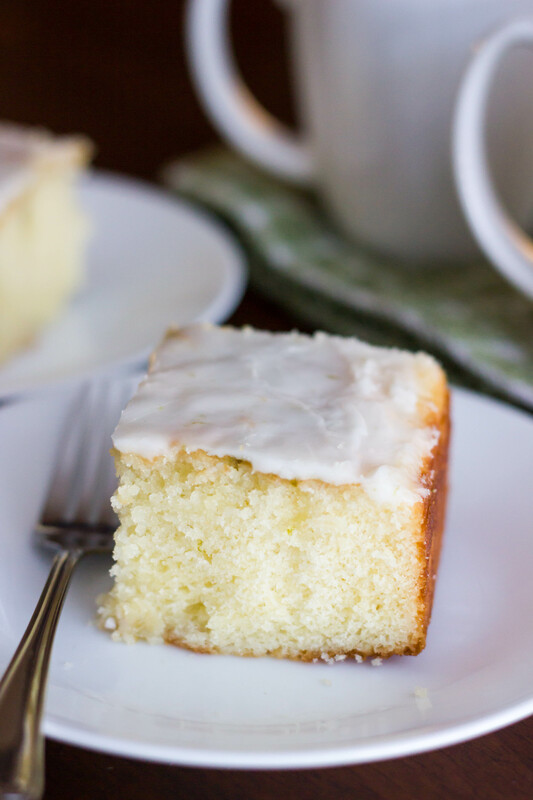 If you love citrus desserts, give this cake a try! Enjoy! 1. Preheat oven to 350 degrees F. Line 8 inch square baking pan with parchment paper and spray lightly with nonstick spray. 2. Using stand mixer with paddle attachment, cream butter and 11/2 cups powdered sugar until pale and fluffy, 1-2 minutes. Beat in eggs 1 at a time. Beat in milk, then flour – just until combined! Be careful not to overmix. 3. Pour batter into prepared pan. Bake in preheated oven until tester inserted into center comes out clean, about 30-35 minutes. 4. Meanwhile, finely grate enough lime peel to measure 1 tablespoon. Halve limes; squeeze enough juice to measure 1/4 cup. Mix peel, juice, and 1/4 cup granulated sugar in small bowl. Microwave in 30 second intervals until sugar is dissolved. Set lime syrup aside. 5. Using skewer, poke holes all over baked cake. Spoon half of lime syrup (about 3 tablespoons) over hot cake. Cool. 6. Whisk 1 cup powdered sugar into remaining lime syrup; drizzle over cake. Cool completely. Made this yesterday for breakfast, my guys like sweet cakes and coffee for the mornings. Used only 6T (half) butter because someone on Epicurious said it worked for them, and it still came out perfect! I’m sure the extra butter only makes it better, but the price of butter in my area is making me stingy with it. 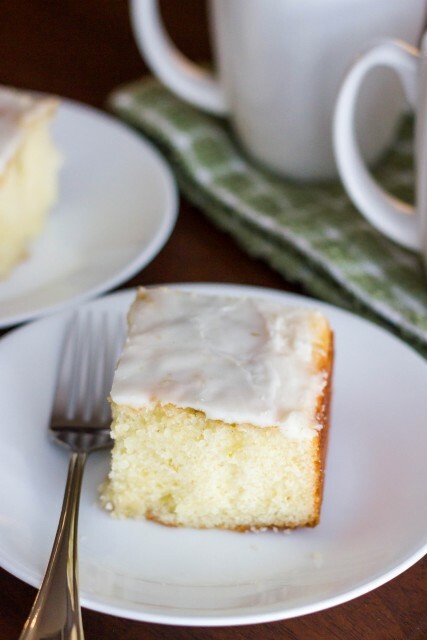 I’ve tried Paul Hollywood’s similar lemon drizzle many times but it always falls in the center for me…not this one. Thanks for sharing, great recipe. Glad you enjoyed Kristy! Thanks for stopping by!